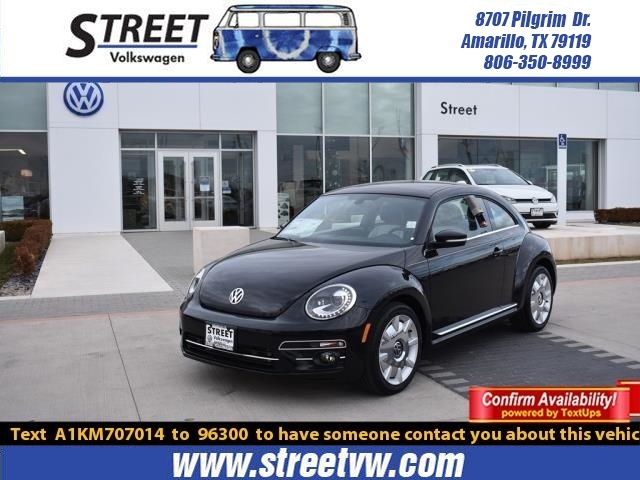 Check out our 2019 Volkswagen Beetle SE Coupe shown off in Deep Black Pearl! 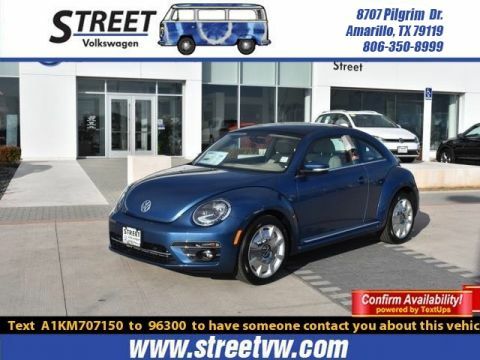 Powered by a TurboCharged 2.0 Liter 4 Cylinder that offers 174hp while connected to an innovative 6 Speed Automatic transmission with Tiptronic and Sport modes for easy passing and smooth shifting. 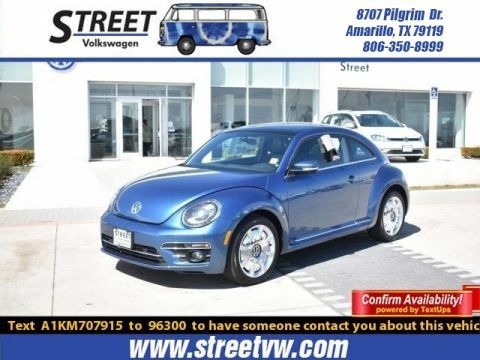 This Front Wheel Drive Beetle and the open road is ready and waiting for you, offering near 33mpg along the way! 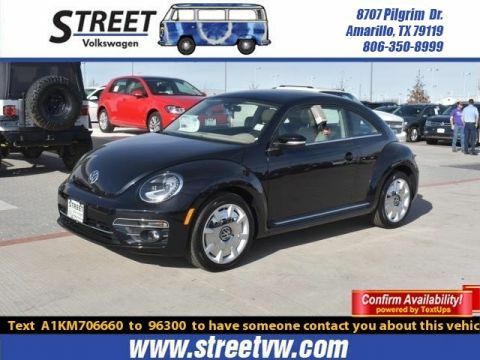 Our Beetle SE provides iconic good looks with sport-designed front/rear bumpers, a rear spoiler, and 17-inch Philadelphia alloy wheels for a modern flair. Inside the SE trimmed cabin, enjoy thoughtful amenities that help you take command of the road including a sunroof. Settle into ultra-comfortable heated front seats, see the keyless access with a push to start button, grip the multi-function sporty steering wheel, and check out the Composition Media touchscreen with Bluetooth High Definition AM/FM/CD, Car-Net App Connect and available Sat Radio.